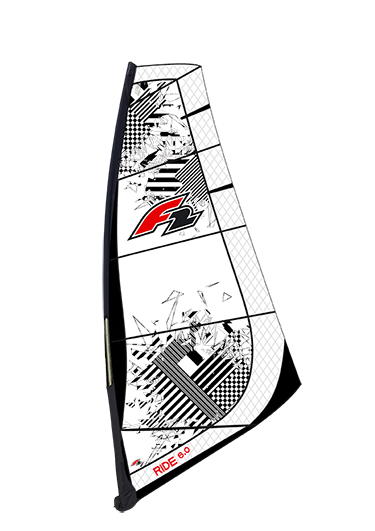 In addition to all of our high-end sails, it is also important to us to develop products that are suitable for the whole family, and facilitate the entry into Windsurfing. Here is the Ride, our Easy-to-Surf sail of F2! It is a no cam sail equipped with five battens such as an Dacron Sail Cloth, and durable monofilm. All family members will notice how easy you get on the water, after they have rigged the sail for the first time. Here you can have fun, without having to change the sail the whole time. The Ride comes with a two-part thin 30% carbonmast, matching vario boom, mast foot adapter, line set and sail sleeve.